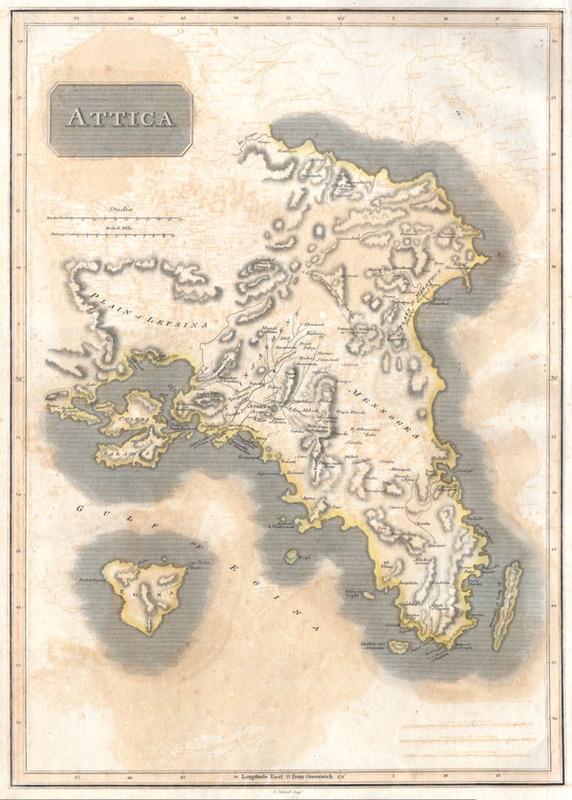 This is an attractive 1814 John Thomson map of Attica, Greece. Map features many of the important cities and site in early Greek History. Shows Athens, the Plain of Marathon, Salamis, and the sites of numerous historic ruins. Extends as far west as Megra and as far north as the Ascopus River. Engraved by E. Mitchell for Thomson's General Atlas. Phillips 731. Newberry Library: Ayer +135 T4 1817. Rumsey 1007.026.